The luxurious Reusch MAIGA R-TEX XT women's gloves offer maximum protection against freezing temperatures thanks to its genuine down insulation. The r-tex XT membrane provides water resistance. 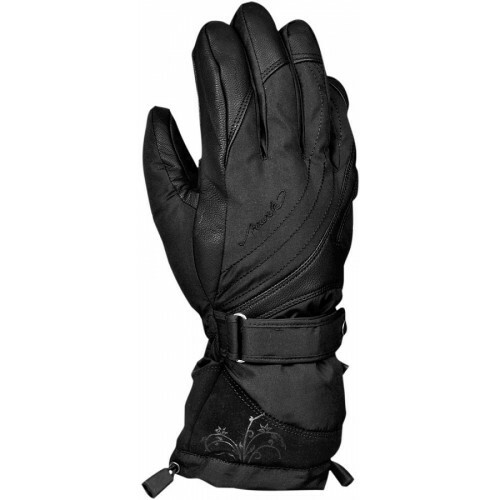 The gloves offer the maximum level of thermal standard available - Thermo5. R-TEX® XT is a highly stretchable high performance membrane, developed by Reusch, that adapts to the special needs of one's hands. It's guaranteed to be breathable and offers complete weather resistance against cold, wind and humidity. R-TEX® XT is comfortable to wear and provides unlimited ease of movement. REALDOWN is engineered by Reusch and provides excellent heating capacity and thermal characteristics. The storage of heat in down is very effective. The soft, lightweight and fluffy nature of down makes it extremely comfortable. In addition, the feathers are protected within a breathable and waterproof "down-proof bag" which ensures no water is able to saturate the feathers thus maintaining their maximum insulating properties.